This fortnight at FSC we are asking you to create something in monochrome + one colour! This year I have enrolled in an on-line art course called “Canvas Create” with Donna Downey. I have created this card using the techniques that we learnt in our January class. OK, I didn’t quite follow ALL the guidelines…greys (instead of bright colours), stamped crow (replacing bright flower), Pan Pastels (instead of acrylic paint) and cardstock (instead of canvas)…but I think I have incorporated the “techniques” that we were taught just the same! Just in my own way. And I have learnt heaps!!! Some of the fun things that I did on this piece are….throwing paint onto my almost finished background (scary! )…and playing some more with the Pan Pastels…check out the moon ~ the tower is masked and the moon is topped up with some white PP, and then I used an eraser to remove some of the PP where the craters are…this made the moon shine brighter. Then I just added some stars around the moon with a white gel pen. In the beginning, I worked up a larger sheet of white cardstock with the PP in blocks of colour and then used some for the background, some for the main image and some for the journaling. To get the barbed wire effect in the background I inked the edge of the rubber stamp that I used for my main image and randomly “stamped” it around. I found this gave me a straighter line than using the edge of the ink pad (no curved end bits)…and then I just drew on some doodles with a black liner pen. And the crow is stamped again, cut out and layered with some magic mount. 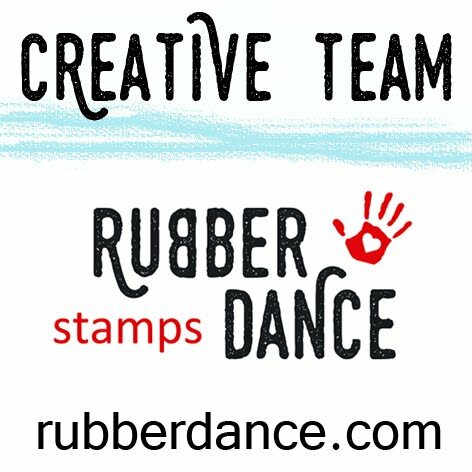 Please check out the other inspiring pieces from the design team at Fashionable Stamping Challenges. They are a very talented group with a wide range of styles to share. And Marina from Cottage Crafts has an on-line voucher for one lucky person to spend on anything of their choice!!! Dot, I just love shades of grey. To me black is too much and grey is so subtle! Love every inch and the 3-D effect of the bird with the splashes of red – COOL! Hugs! Fabulous card, I love the splash of colour on the background, super images as well. Just fabulous Dot, such a wonderful combination of colours and the background is superb. I enlarged your photo to take a look at the moon, so clever. I love your colour choice. This is such an atmospheric stamp in the first place but you have created such depth of mystery all with the way you handled the PP, paint and the actual stamp. 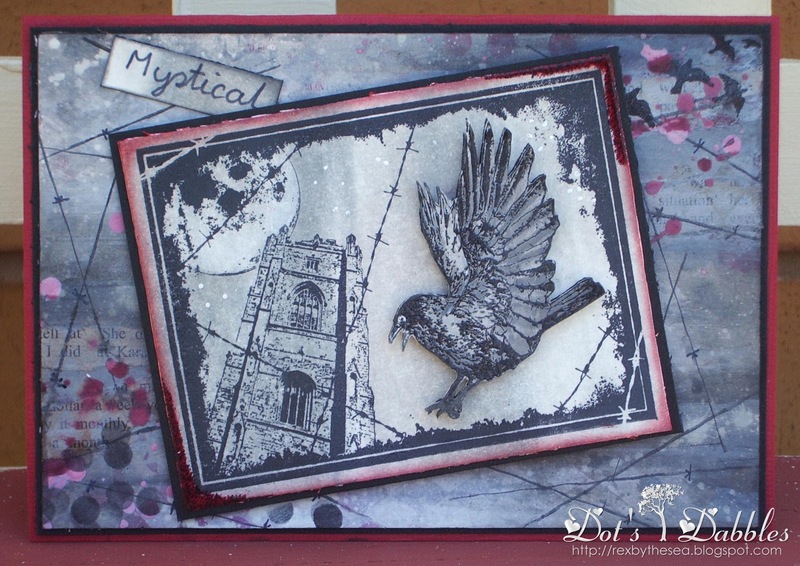 Fabulous card Dot, Love the image and your stamped/coloured background. The moon looks so real! love the way you achieved this result. How fantastic, your card looks wonderful. Great colors and images. What a gorgeous colors, I like all the different shades of blue! … and the splashing on the background!